Can the Cougars' reeling defense step up against Stanford? Stay tuned. The weekend's sports action was kind of insane, thanks to unexpected blowouts (ouch, Cougs! ), enthralling last-minute comebacks (we see you, Seahawks), and World Series games that make a mockery of the idea that baseball is boring. Here's what you need to know to chat around the water cooler at work today. Losing to Arizona in Tucson is anything but embarrassing. The Wildcats are one of the hottest teams in the Pac-12 — if not the entire country — right now, thanks to quarterback Khalil Tate's emergence as an offensive force. So Washington State fans shouldn't be too forlorn over going down 58-37 on Saturday night as Tate ran for 158 yards and a touchdown, and threw for 275 yards and two more scores. What Coug fans should be worried about is how the win went down. 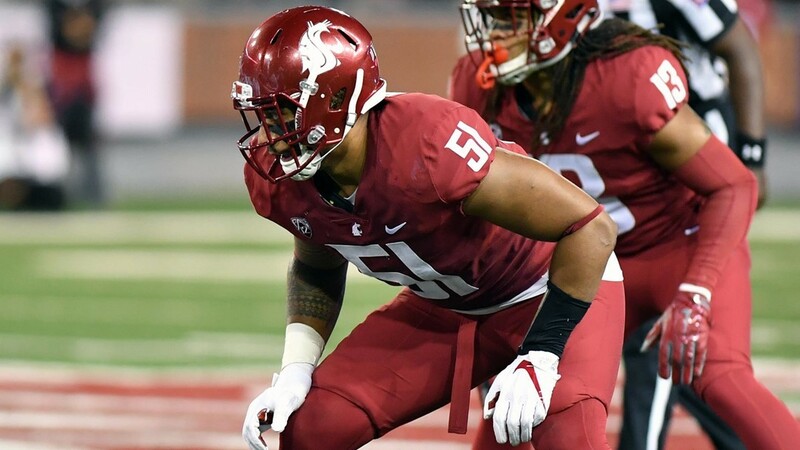 The defense gave up 585 yards and gave them up in big chunks; the Cougs lost despite dominating the time of possession and gaining 646 yards themselves. And WSU coach Mike Leach, the alleged genius, introduced a quarterback controversy when he inserted backup quarterback Tyler Hilinski, who rallied the team, throwing for more than 500 yards and three touchdowns, and ran for two more scores, but also chucked four interceptions, including a vital pick-six in the fourth quarter that essentially ended any hopes for a win. The loss dropped the Cougs to No. 25 in the new AP poll. Even with the loss, the Cougs remain in the hunt for the Pac-12 North title, with a huge game against Stanford coming up Saturday at 12:30 pm in Pullman. If they beat the Cardinal, the Cougars will still have something to play for as they head toward the Apple Cup. Will Hilinski start at quarterback over Luke Falk? Will the defense bottle up Stanford's running game? Will Mike Leach keep calling his team "soft" or "dumb" in postgame press conferences? Stay tuned. It was hard to believe the offensive fireworks that made this the most exciting NFL game on Sunday. Seattle's offense has struggled, and Houston was coming to town with a rookie quarterback in Deshaun Watson — and rookie QBs tend to flail in the face of the Seahawks D. Instead of a 12-9 slugfest that might have made some sense, we got a 41-38 shootout with multiple lead changes throughout, and more than 850 yards passing between the two quarterbacks. Yowza. The Seahawks are now 5-2 overall, tied atop the NFC West with the Rams, have won four straight games and host a struggling Washington Offensive Nickname squad Sunday at 1 pm. Mason Elms ran all over Pacific in Whitworth's third conference victory this season. Idaho beat Louisiana-Monroe 31-23 in a much-needed home win, with quarterback Matt Linehan chucking for 360 yards and three touchdowns. The win gets the Vandals to 3-5 overall, needing to win three of their remaining four games to get to a bowl game. Next up, a trip to tough Troy State for a Thursday night game that will be shown on ESPNU. 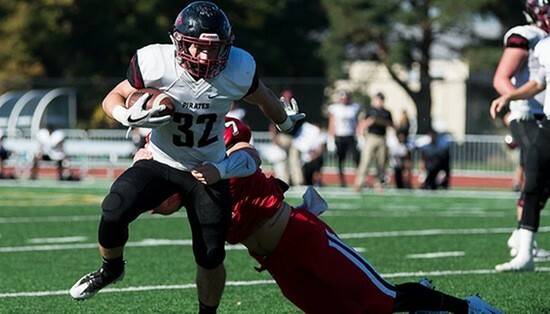 Whitworth, meanwhile, went on the road and took down Pacific (Oregon) 30-20, the team's third straight win. Instead of throwing the ball all over the field, the Pirates ground it out through running back Mason Elms, who delivered 152 yards and two touchdowns. Whitworth is now 6-2 overall, 3-2 in the Northwest Conference. Even if you don't consider yourself a baseball fan, it's time to turn on the World Series as it heads back to Los Angeles for Game 6 on Tuesday night. Over the weekend, the Houston Astros and Los Angeles Dodgers traded blows in some epic, home-run-filled battles that set the stage for what could be a thrilling final game (maybe two). Sunday night's Game 5 was an extra-inning thriller with a final score of 13-12, the teams combining for seven home runs in all. The Astros are now up 3-2, with Justin Verlander taking the hill to potentially deliver the team's first-ever World Series title, facing off against the Dodgers' Rich Hill Tuesday at 5:20 pm.